Almost everyone knows that a worker who is injured on the job can apply for workers’ compensation to cover their medical expenses. But many have no idea that their illness could be work-related and also coverable. Being sick is bad enough – but learning that a serious illness could have been prevented by the use of safety gear and training on proper handling techniques just makes matters worse. Unfortunately, many patients are unaware that their illness could have been caused by their job. Exposure to plants, chemicals, or other substances can cause dermatitis, blisters, oil acne, chrome ulcers, and chronic inflammation. Not only are these painful but they can leave scarring on any part of the body. Asbestosis, berylliosis, hypersensitivity pneumonitis, pneumoconiosis, and asthma are just a few of the occupational lung diseases that workers can get. Any of these conditions can result in serious damage to the lungs, loss of breath, and chronic cough. Anyone who works around loud noises may have noise-induced hearing loss. It doesn’t matter how old the worker is – hearing loss can be either immediate or gradual over time. A motorcycle is around 95 decibels. Emergency vehicle sirens register around 120 decibels. An MP3 player at maximum volume is around 105 decibels. Given this information, it’s easy to see how workers in many industries are at risk for hearing loss. Chemicals can be found in every job in every industry, however, some are much more dangerous than others and if the proper safety precautions aren’t taken, then it’s easy for a worker to be poisoned. Poisoning has many symptoms depending on what type of chemical the employee was exposed to. It may include respiratory distress, vomiting, psychosis, tremors, or loss of consciousness. If not treated quickly, any toxin can permanently damage an organ or kill the victim. Sadly, all poisonings are preventable. It’s important for anyone who is suffering from these weather-related conditions to obtain medical care immediately. Scientists identify new carcinogens every year. Without the proper protection and handling techniques, repeated exposure to a carcinogen can result in cancer in nearly any part of the body. Although medical advances mean that all types of cancer are being treated more effectively and more patients are becoming survivors, the reality is that cancer is still one of the most deadly diseases on the planet. Sometimes disease spreads through contact, especially when the employee is a healthcare worker who is around both patients and the tools used to treat them. HIV, Hepatitis, and other serious diseases can be spread through a simple needle stick. Or, the disease may be transmitted through exposure to pets or wildlife. Whatever the illness, the fact is that medical care is expensive, even when regular health insurance is available. Treatments may include x-rays, antibiotics, pain medications, chemotherapy, hospitalization, MRI’s, CT scans, and more. If complications arise, then the cost can rise exponentially. The good news is that if the patient can prove that their illness was caused by their job, they can file for workers’ compensation to cover their medical bills and, if necessary, a fraction of their lost wages. The bad news is that it’s not always easy to prove the connection and there is a statute of limitations on claims. In every case, there is a time limit on how long a worker has to file for compensation. Due to the fact that illnesses do not always present immediately, the time limit on occupational diseases is two years from the date that the worker learned, or should have learned, that the disease was work-related. Proving that an illness is work-relates isn’t always easy, especially if the exposure that caused the illness was years prior. This is why it’s very important to contact an attorney as soon as you may begin to suspect that your illness is work related. Did you know that just one simple mistake on a claim form can result in a denial? Once a denial has been issued, it can take months for an appeal to correct the issue and for the ill worker to get the compensation they need. Insurance companies train their adjusters to look for reasons, even small ones, to reduce the amount paid out in a claim or deny it entirely. An experienced attorney knows how to speak with an adjuster on their client’s behalf and is aware of which questions actually need to be answered and which don’t. A full investigation into the workplace, possible exposures, and the timeline of the worker’s illness is often necessary and something that no seriously ill employee has the time or energy for. In addition to this, an attorney will know exactly what they are looking for and can prevent evidence from being destroyed or “lost”. Frequently a client will need a medical expert to testify on their behalf and explain why the worker’s illness is work-related. An attorney can find the necessary experts and prepare them for their testimony. 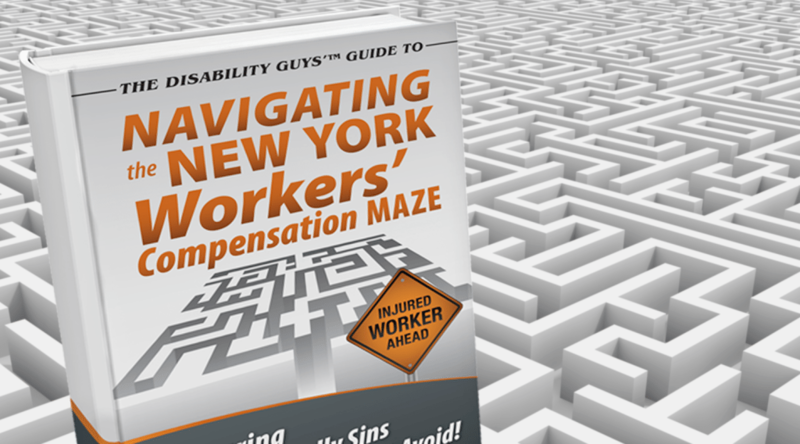 For most clients, workers’ compensation isn’t the only way they can obtain coverage. A personal injury lawsuit or, if the illness is disabling and prevents them from returning to work, a social security disability claim may also be an option. For the majority of employees, this is not an option. Not only doesn’t workers’ compensation protect the employee, it also protects the employer from being sued. If the employer fails to provide workers’ comp, then the employee can pursue legal action against them. Typically the defendant in a personal injury lawsuit is a third-party such as the manufacturer of a safety product that failed. What If My Loved One Died Of An Occupational Illness? In cases where the sick employee passes away before they obtain compensation, their loved ones can file to obtain compensation on their behalf. They may also pursue a wrongful death lawsuit which could provide the deceased’s family with coverage for medical expenses, lost earnings both past and future, physical pain and suffering experienced by the deceased, the emotional trauma experienced, loss of consortium and even loss of inheritance. What Kind Of Experience Do You Have Handling These Claims? Our firm has been helping sick workers since 1933, which means that we have over 80 years of experience with workers’ compensation claims, social security disability claims, and personal injury lawsuits. We are committed to providing our clients with excellent communication, explaining in detail all of their legal options, and fighting for their rights. But don’t just take our word for it – check out testimonials from previous clients and our results page to learn more.